Customized for your personal needs. 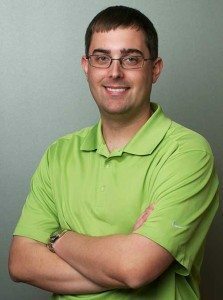 Dr. Richard Barrett was born and raised in Eugene, Oregon and completed his undergraduate studies at the University of Oregon in 2007. He then attended the Oregon Health and Science University School of Dentistry, graduating in 2012. In addition to the completion of his normal studies, Dr. Barrett opted to further his education, working in University-based research labs while attending both the University of Oregon and OHSU. As a result, Dr. Barrett has a strong background of cutting-edge scientific research and practical application. His research culminated in the publication of an article in a major research journal in 2011. 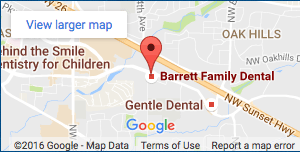 Serving Beaverton and Tanasbourne dentist Dr. Barrett is an advocate of preventative dentistry and the use of fluoride, sealants, and patient education in order to prevent decay. The son of two dental hygienists, the value of preventative dentistry has been instilled in him since the day he was born. As a result, Dr. Barrett firmly believes that excellent preventative care is the backbone of dentistry. However, there are times when tooth restoration becomes necessary. When that happens, Dr. Barrett is well versed in the variety of restorative options available and will ensure you receive the finest care possible. 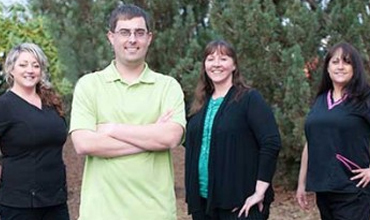 Dr. Barrett resides in Beaverton with his wife Rebecca, a local middle school teacher, and their son Owen. When not at the Barrett Family Dental office, Dr. Barrett enjoys spending time with his family, working on cars, football, camping and exploring the northwest. He can also frequently be seen in the stands at Oregon Duck football games.